The name Twisted Sister has been around since 1973 in its earliest incarnation. The band fought their way to their height of popularity in 1984 as Stay Hungry brought the band into the foray of the MTV era with “We’re Not Gonna Take It” and “I Wanna Rock” which cemented their place in history. Almost thirty years later the band still performs and seems hungry as ever. The band played with a fire on this special night in August at The Clearfield County Fair. The band only plays a handful of dates every year, but they go all out and give the fans and the SMF’s their all each show. 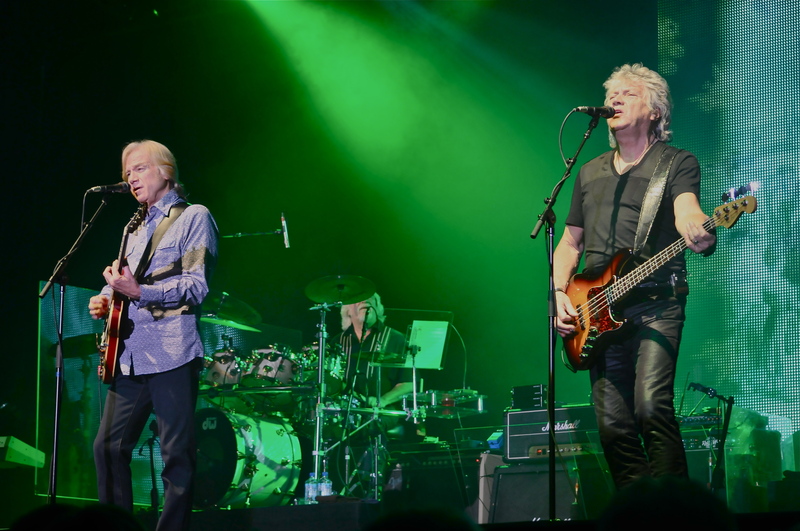 The band is one of those freaks of nature as despite singer Justin Hayward, bassist John Lodge and drummer Graeme Edge all at or nearing 70 years old, they played and sounded just as they did over 25 years ago. Time has made them even more endearing to their fans as they still show they can perform at a high level. Just being able to hear “Tuesday Afternoon” and “Nights In White Satin” was worth the price of admission in itself as both cuts sounded stunning. From the opening riffs of “Draw The Line” to the closing notes of “Train Kept A Rollin” and everything between, one would not know Aerosmith’s sabbatical even took place. The band appeared to be firing on all cylinders and in much better spirits than the 2010 tour. 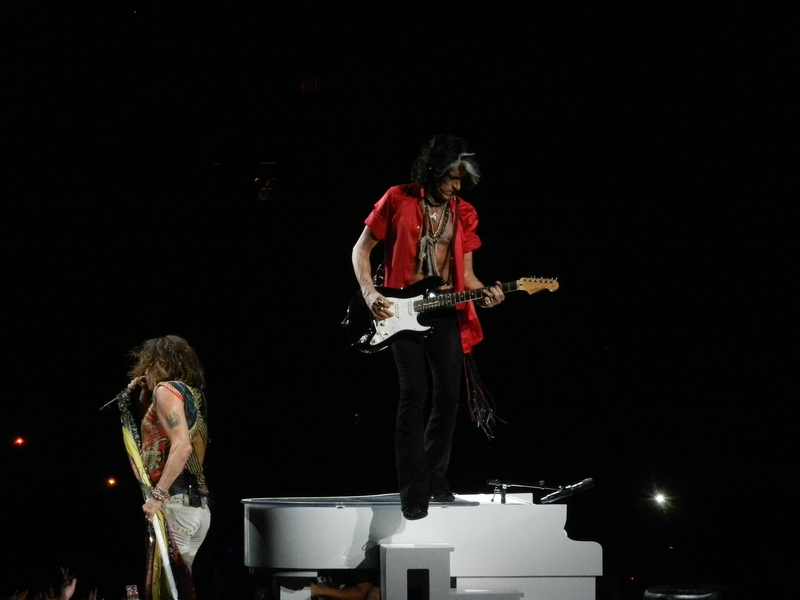 Steven Tyler and Joe Perry’s relationship has had its share of ups and downs, but when it is on the upside that is when the band flourishes best like it did in Cleveland on this extremely sweltering summer night. 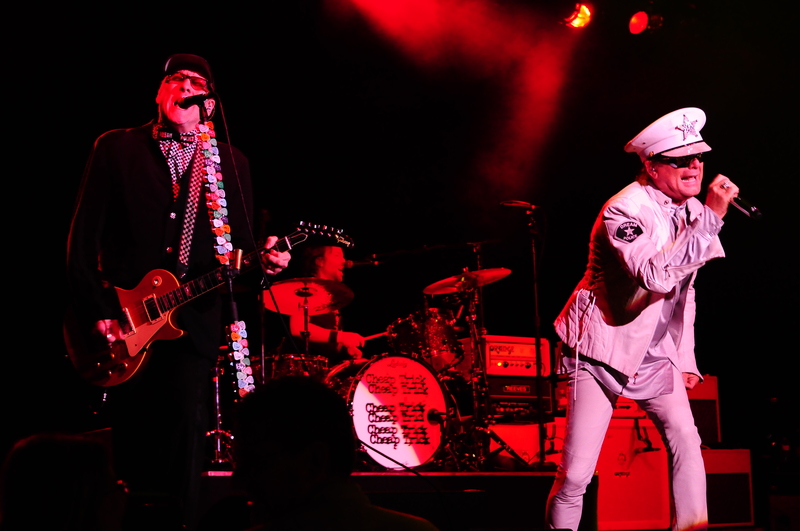 One thing Cheap Trick does so well is always put on a fantastic show whatever the circumstance. The band is known for always changing their set up night to night so not only to keep it fresh for the crowd but for themselves as well. The band has not lost a step with original drummer Bun E. Carlos no longer touring. Daxx Nielsen, the son of guitarist Rick Nielsen, has filled the vacancy and since the band has never looked back. The Seneca Niagara Events Center audience were treated to rare plays of “Lookout” and “Stop This Game”. Other highlights were “On Top Of The World”, “Tonight It’s You” and show opener “Way Of The World”. Touring without guitarist and bands namesake J. Geils, the bad boys from Boston showed they can still deliver the goods. 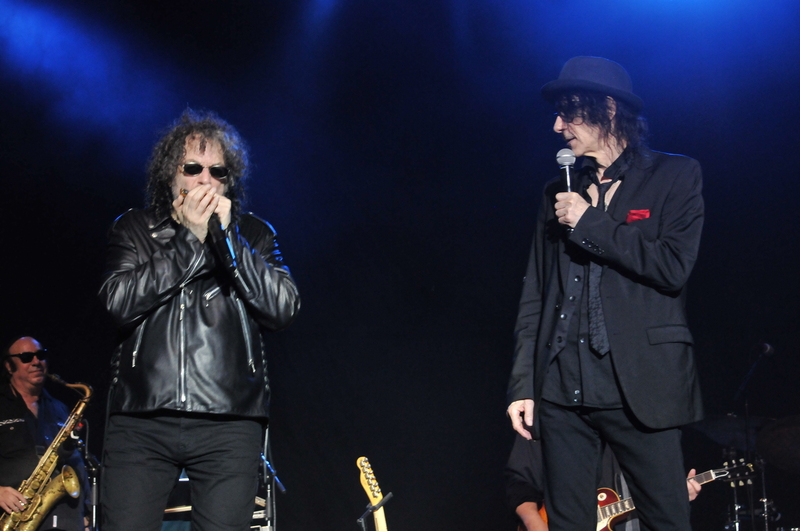 Vocalist Peter Wolf and Company had not played in Buffalo in over thirty years. The show featured some of the bands most revered cuts such as “I Do”, “Freeze Frame”, and the classic “Centerfold” all much to the fans delight. It was a perfect outdoor show on a beautiful evening and a great way to close out the summer down at the scenic Harbor. 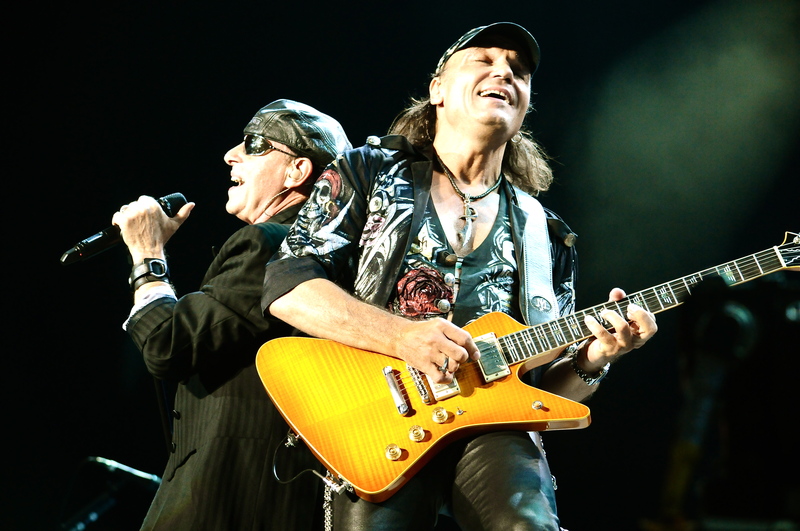 Billed as the final year of a three year farewell tour, the Scorpions played The Molson Canadien Amphitheatre, the closest show on the tour to Buffalo. The show was eerily similar to their 2010 show at the same venue. The band did not seem like they were about to call it a day as they looked and sounded amazing. Singer Klaus Meine sounded better at sixty-four than some singers half his age. If this was indeed their final tour they went out in a blaze of glory. The Western New York area has always been kind to Supertramp as this was one of the first areas where the band first broke out. They were regulars here in the seventies and early eighties. 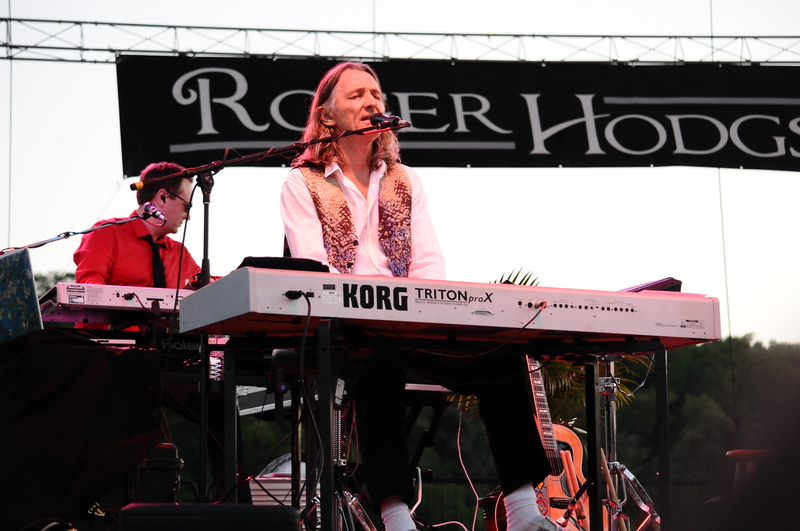 Roger brought a full band with him to play the scenic Artpark. Roger was enjoying every moment as you could see how overwhelmed he looked as the ovation grew after each song. Truly one of the more memorable crowds despite not being too large. The show at First Niagara Center was the bands first since 1996, the year the venue opened. Rush is one band who was made for playing arenas. The band shied away a bit from arenas and played outdoor shows the past few tours. 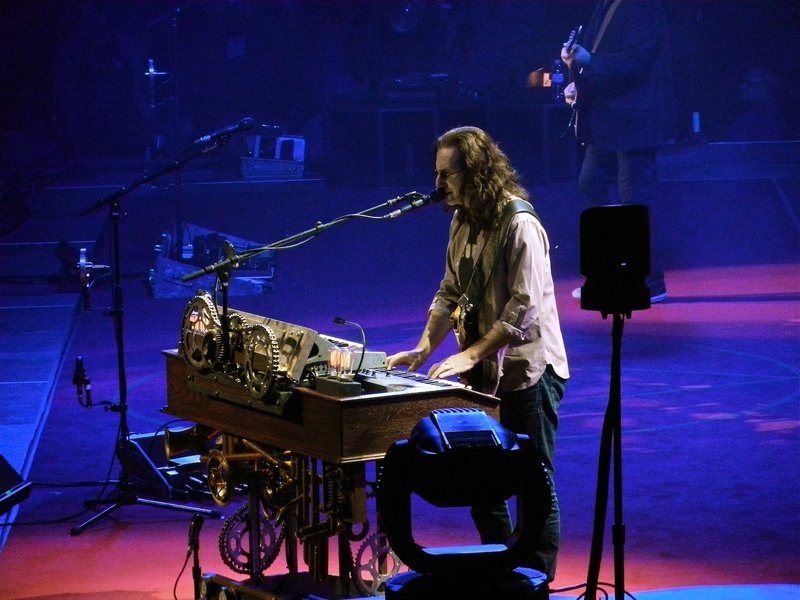 The show featured many of what fans may call lost classics such as “The Analog Kid”, “Territories” and “Grand Designs”. The high point of the night was when the band broke into “The Spirit Of Radio”, unbelievably divine. The Bears Den has been the place to be for many concerts during 2012, none more so than on October 13 as Asia delivered a gem to the sold out crowd that filled the immaculate venue. The show marked the bands second at Seneca Niagara Casino and the first time since 2006 during their reunion tour. 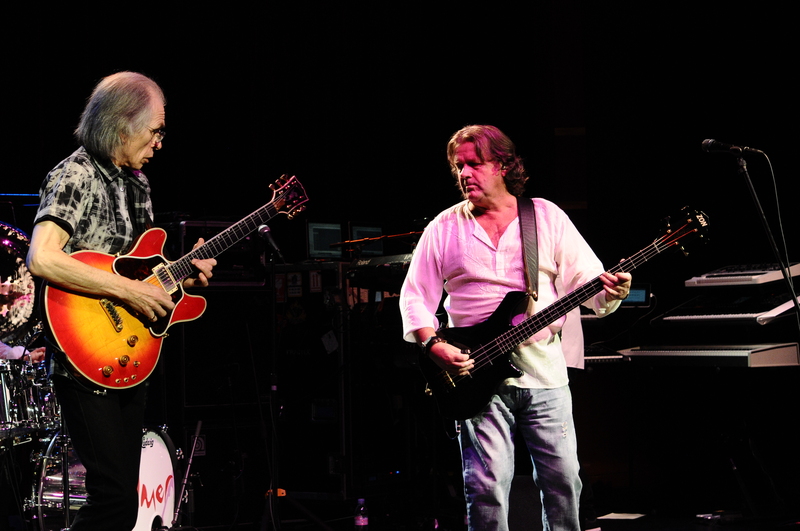 After a recent announcement this will also be the last tour the original lineup would play together as guitarist Steve Howe wants to focus on playing in Yes and a solo endeavor. For the second straight year a female has won our top concert of the year. 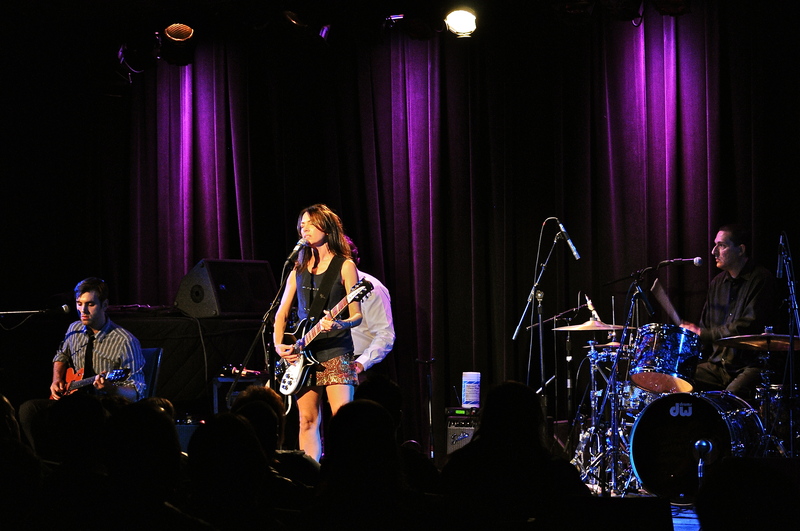 Bangle Susanna Hoffs now joins last years winner Olivia Newton-John for the prestigious honor. Hoffs performance was one for the books as she delved into tracks from her stellar solo release Someday. The show also featured some eclectic covers as well a some of her best known Bangles hits. It was a treat to be able to see a show of this caliber as Hoffs also had a fabulous backing band that helped make this show extraordinary. Special thanks to all the bands, publicists, promoters and venues who helped make 2012 a truly great year.